My friend said that I'd need get my bottom bracket (new frame) "faced" before installing (or well I'm prolly gonna take it to an LBS since I dont have the tools) the bearing. Facing apparently means milling/sanding the bb faces with a special tool so they are level. Is this true and will this be expensive? 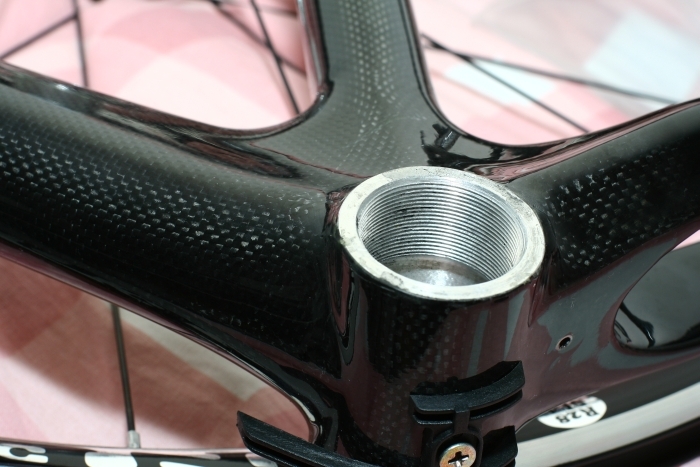 The need for facing (yes it means milling the bottom bracket shell and head tube faces to be sure they are even and perfectly square to the centerlines) depends on the frame you bought and, to a lesser amount on what bottom bracket you are going to use. A high quality frame from a good manufacturer or custom builder should have been faced by the maker and doing it again is not needed. Look at the frame. If the shell edges are smooth and free of paint, you should be good to go. If they are rough or have overspray on them, have your LBS clean them up. It should not be very expensive but it's worth asking first. Also, pick an LBS that is familiar with good bikes. Many shops, particularly the chains, sell and service mostly cheap MTB, Hybrid and children's bikes and won't have the tools or expertise to do the facing properly. Again, ask first. Cartridge bottom brackets aren't as alignment sensitive as the newest external cup bb's like Shimano Hollowtech II and Campy Ultra Torque so depending on what you are going to us, the advisability of facing is greater or lesser. Hard to tell from the pic. Is that dirt, stains, or roughness? Its mainly some dirt/staining but the epoxy layering is over the face a tad on the corner closest to the camera. I can't tell from the picture, but it looks shiny - so it might have been faced. Anyways, it's a simple operation to face such. But the tool is quite expensive, so many shops may lack on in their inventory. One simply screws down the cutting tool, then turns the handle about 1/4 turn. Done. Well the casing itself has been machined ofc but from the look of it it hasnt been faced after it was glued/assembled to the frame since it has very thin bits of glue on it. Gentle use of mill file would clean it up. Facing is more about squaring the metal tube end. How important is it to face bearing shells when using external bearing bottom brackets like Shimano Hollowtech? Surely all that determines the alignment for those types of BBs is the axis of the BB shell thread? The squareness of the face would seem to be irrelevant (within reason) - all that will do is affect at what point the BB stops turning as it's torqued up. Or am I missing something here? You torque the cups down very hard when installing them so if the faces are out of square they will distort the cups and change the alignment. How important is it to face bearing shells ... The squareness of the face would seem to be irrelevant (within reason) - all that will do is affect at what point the BB stops turning as it's torqued up. Or am I missing something here? Yeah, you're missing the point. The entire purpose of facing is to make the tube end flat and square to the axle axis. Hillrider tells you what happens if they're not square -> metal bends. Gunk like epoxy on the face can effectively make them out-of-square too. Well, okay, I can understand that if there was, say, a full 1mm of difference in height across the face. But some what looks like a few thou of surface pitting on the photo in post 3? Shimano Hollowtech use non-adjustable cartridge bearings, don't they? Are they really that sensitive that facing those markings off would make any difference? I asked the old grey-haired guy at the LBS about this, and he said he can't remember the last time he had to face a BB shell. I would bet that most new bikes today would come with shells that are adequately square for the BB they're going to be sold with, or there would be lots of bike shops complaining about the extra assembly time or remedial work. If you're talking about an older bike or a shell that's been damaged it might be a different story. True - considering many bikes now come with BB's already installed at the manufacturer. "A bearing is only as good as it's setting". That looks like it only needs to have that epoxy stuff removed with a rag perhaps. The BB looks plenty (even overly) faced to me. Faced doesn't mean the entire outer diameter needs to be flat - only a continuous ring. If I was working on that frame, I'd keep facing until that void area developed a wider margin. My Ridley frame came from the factory with an unfaced BB. About $40 to have the LBS do it correctly. Best 27 inch tire *slightly* smaller than a Ultra Gatorskin 1-1/4"?